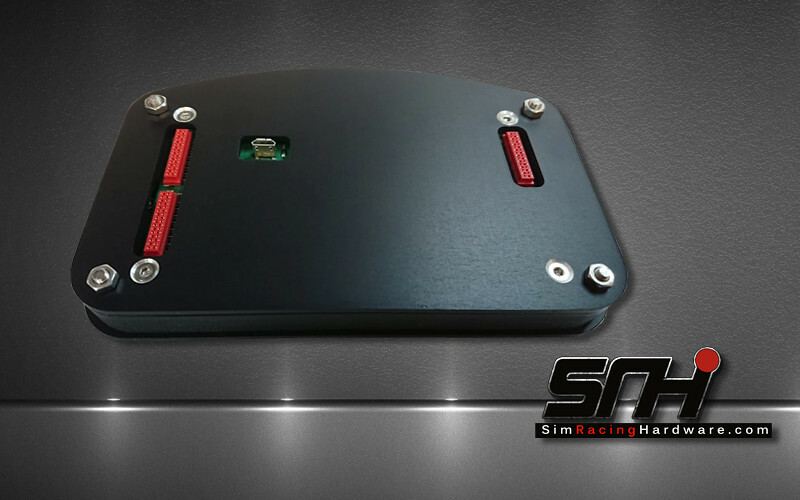 Not so long ago, British simulation hardware manufacturer Sim Racing Hardware [SRH] introduced their G-Force Modular Dash which is a high-end dashboard addon for a selection of popular wheelbases including the Fanatec CSW/CSL, OSD, Bodnar, and SimXperience Accuforce units. As part of the modular Dashboard system, aspiring customers can add the now well-known G-Force LCD which is a 4.3″ 480×272 TFT LCD telemetry display heavily influenced by real-world racing instrumentation. 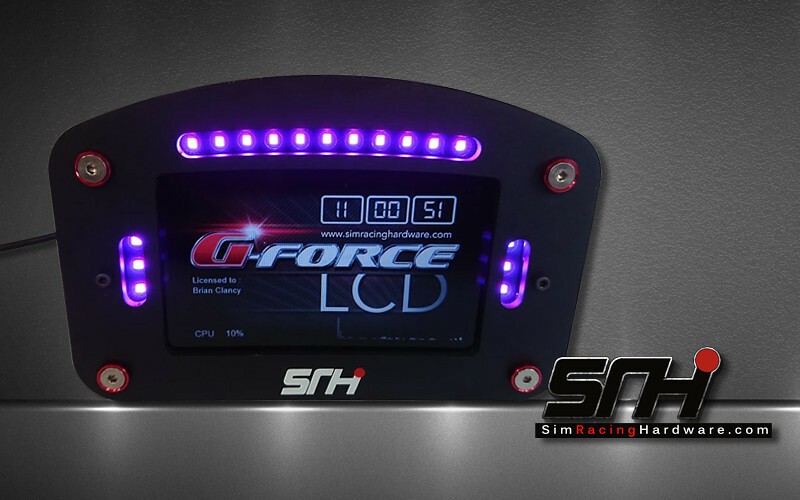 While the original G-Force LCD was already one of the better sim racing telemetry displays on the market, it did not stop SRH developing and improving an already impressive product, by introducing the brand new G-Force LCD Pro. The 4.3″ 480×272 SRH G-Force LCD Pro is designed for the professional and sim racing enthusiast who requires a high performance and flexible display solution offering a very high-quality image and fast refresh rate. The G-force LCD Pro comes complete with its black anodized case constructed out of black anodized alloy and is fully enclosed, featuring stainless and anodized fixings. The unit features 17 RGB (multi-Colour) LED’s in an 11-3-3 configuration allowing for a large amount of data info to be shown, not just an RPM shift light. The unit features 32 inputs for buttons and rotary encoders as well as 4 analog axis inputs for pedals and/or clutch paddles etc. 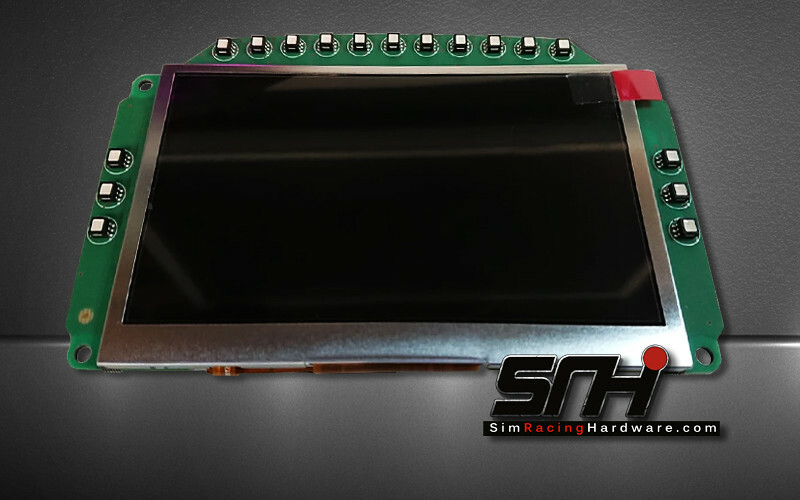 Interestingly, as well as a fully built display, SRH also sells a bare PCB version of the unit which is ideal for wheel builders and the DIY enthusiasts. 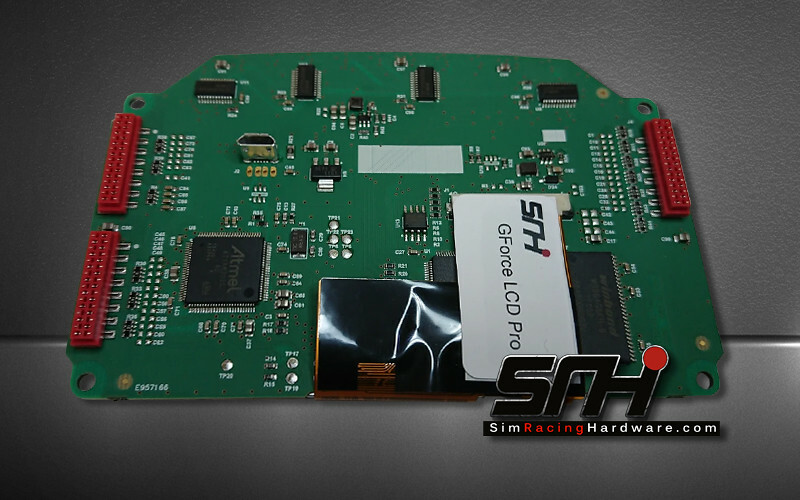 Both the cased G-Force LCD Pro display and the bare PCB unit comes with a software license for the SRH G-Force software suite which is continuously updated and improved and regularly receives support for new sim racing titles. Optionally, SRH supplies either a desktop stand or a number of brackets to allow the display to be fitted to wheelbases such as the AccuForce, Bodnar, CSW, OSW etc. For more info or purchase, check out the official SRH website.